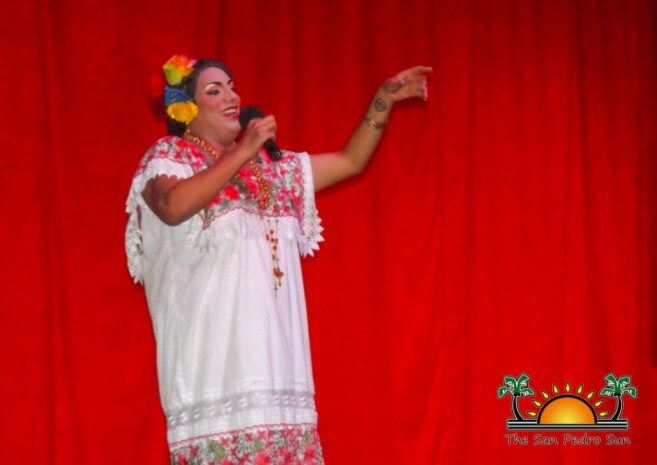 Mexican comedy at its best was presented on Saturday, January 16th at the Paradise Theatre during the first ever Puroxona Cauich show. It was a full house, as many island residents came out for some laughs courtesy of Reef Radio and Reef TV. 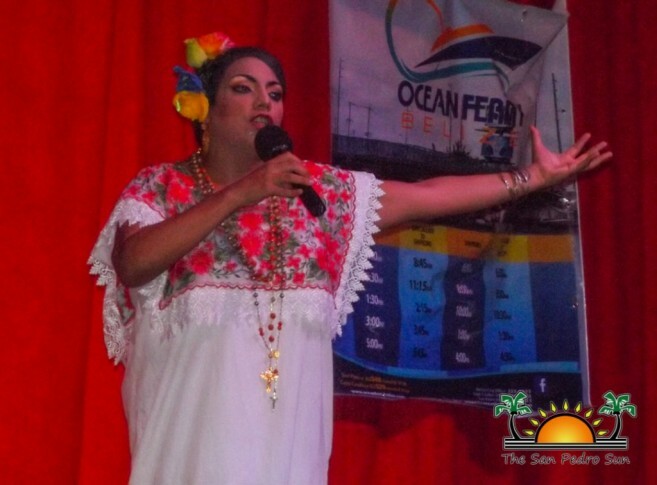 Ivan Vasquez, an iconic and charismatic comedian from Merida Yucatan, Mexico, gives life to ‘Puroxona Cauich,’ a Yucatecan woman, who faces failures in her marriages and struggles in modern society. The show depicted how Mexican Mestizo women live today, and how they have managed to keep their cultural heritage alive. The modern days have changed people to such a drastic measure that they do not know (or care to know) where they come from. 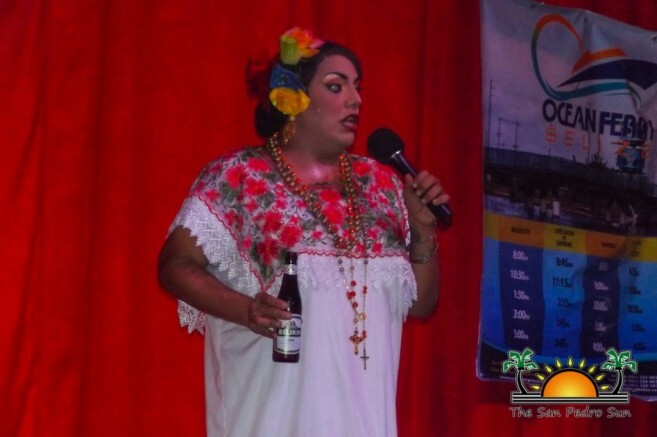 Puroxona claims that their cultural roots have been severed and her act was aimed to showcase that culture before it is lost, all while having a good laugh. The show started a bit after 9PM, to a packed theater room number two. 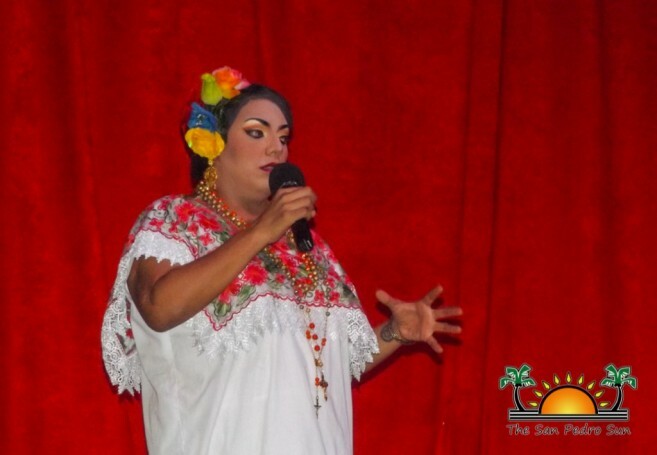 Those in attendance laughed the evening away at Puroxona Cauich jokes, which described the lives of Mestizo wives. It was certainly an adult show, with explicit language, and all in Spanish. The almost two hour presentation left the audience well- satisfied and well informed; Yucatan is the Motherland of all Mestizos. The show ended with a raffle of fabulous prizes, which included roundtrip boat tickets to Belize City and 24-hour golf cart rentals. The next upcoming comedy show is set for Saturday, February 13th; with another of Mexico’s best, comedian Oscar de La O. Everyone is encouraged to save the date, as it promises to be another evening of fun and laughs. Event organizers would like to thank everyone who came out to enjoy the presentation. Special thanks go out to Ocean Ferry Belize, Gavilan Golf Cart Rentals and everyone else who made the show possible.